Good battery for price. On little used motorbike so hope it lasts! Battery arrived promptly. Seems to work although will only know over the longer term how it performs. 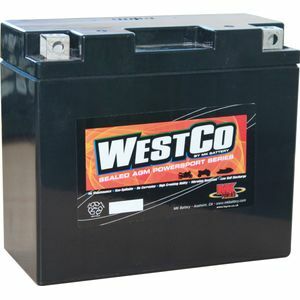 Although this is the recommended battery for my bike, it is a much smaller size than the original. It seemed that Ducati had a mid-model change in battery spec. This is a known issue and I had to buy a bracket and spacer from a Ducati parts dealer, to get it to fit snugly. Bike now starts - no fuss, no hassle. 1st class service, prompt delivery, goods as described, perfect fit. Good delivery from Tayna. Battery seems strong and to hold charge really well. So far , no complaints! direct replacement for the same unit bought in 2007. Over 6 years is getting into long term relationship stuff......and with a battery. This battery was purchased under your recommendation. It lasted a total of six hours running time connected to the to the Ducati and is now flat, refusing to take any charge whatsoever (I actually made it home!) The previous battery fitted still functions reasonably well, so I can only assume the new battery is faulty.there are no problems with the bike or its charging system. Please advise weather I am due a refund, as I most definitly do not want a replacement of the same. This battery was not neglected. Not had very long but seems to hold charge well when bike not used. Battery fitted exactley as the origional looks to be well made.Onley time will tell on performance. Starts a cold engine easiley,and maintaines the alarm. Easy to order, arrived very quickly and am happy with product. This is my second purchase of this product, and whilst I would have hoped it would have lasted more than a year before having to be replaced, I am happy with the product at this price. Excellent service, as ever! Against your fitment advice, I chose this smaller sealed battery as feasible for my 1997 M750 Monster. The size and different terminal position required a bit of adaptation, but the motor now bursts into life, plus the new battery is a bit lighter than the old one! I think, at last I have proper battery for my Italian Beauty. Cold start cranking current is amazing. Fitted into bike without charging and engine wants to get out from frame. Delivery service excellent.